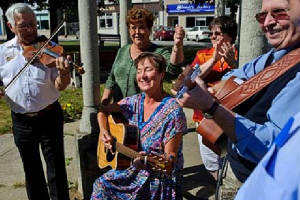 Welcome to Canada’s Longest Standing Folksong Festival! Featuring 5 days of authentic, traditional and contemporary music for the whole family! Five days of music for the entire family! New Brunswick Day breakfast with live music. Boat Cruise on the Miramichi River with live music.